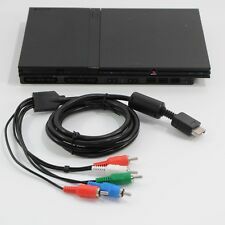 Sony PlayStation 2 PS2 SATA Upgrade Kit for Original Network Official Adaptor! Supported HDMI output Mode:Outputs pure digital HDMI video/audio signals. USB cable powered – No power adaptor needed. Output Connector:HDMI Connector x 1, 3.5mm Stereo Audio Jack x 1. Video and audio in full digital HDMI format, no transmission loss. 1.8m (6ft) approx. for Sony PlayStation 1 and 2. Sit further back from the TV! Dual Shock Compatible. Excellent High-Quality Cable. 4.5 out of 5 stars - Sony PlayStation 2 PS2 SATA Upgrade Kit for Original Network Official Adaptor! 4 product ratings4 product ratings - Sony PlayStation 2 PS2 SATA Upgrade Kit for Original Network Official Adaptor! AV Cable Type: Audio / Video Cable. 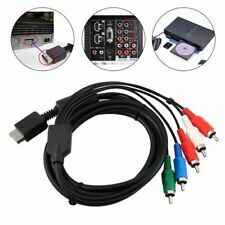 This component cable is specifically designed to provide the sharpest video and. Net weight: abou 115g. Cable Length: 180cm. Also compatible with Xbox Classic console. • RoHS Compliant moulded UK plug with integral fuse. In a used tested condition the Sony Playstation 2 Network adapter can be used to get you online in minutes. This is an original Sony item. OFFICIAL GENUINE SONY Playstation 2 AUDIO VIDEO AV / TV CABLE. FOR USE WITH SONY Playstation 2 Console - ITEM IS USED IN WORKING ORDER. These AC Adapters have been tried and tested by Baxtros technicians and are in full working order, ready to simply plug and play. x1 Mains Plug. Not the larger (phat) models. This is compatible with the 7000 and 9000 Slim models. 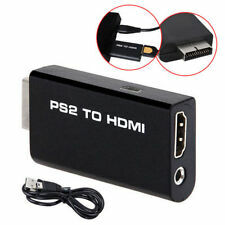 This also affords the HD Link cable for the Playstation 2 backwards compatibility with the Original Sony Playstation! Works with both the PlayStation 2 and PlayStation 1 systems. Relive your favorite PlayStation 1 and 2 classics with stunning clarity. 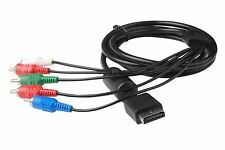 This AV Cable provides composite video & audio [L/R] output for connecting your Sony PlayStation 1, 2 or 3 to a TV / Monitor. 1 x Composite AV Cable for Sony PlayStation. Composite AV Cable. Ultra thick and flexible jacket with color coded connectors to simplify installation. Simply plug in and install the driver. Length: 21cm. Cable length Approx. Quality 3rd Party Product. 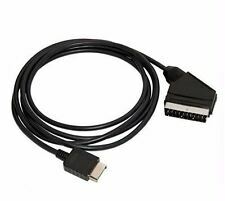 UK 1080P HDMI Type A Female to Mini HDMI Type C Male Adapter Convertor Cable. Adapter HDMI Female to Type D Micro HDMI Male Convertor in Gold Plated. 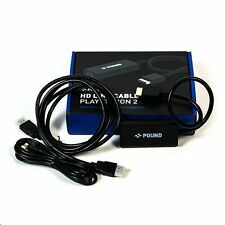 UK 1.5m Universal HDMI to 3 RCA Phono AV HDTV Audio Video Cable Adapter Lead. Official Sony PlayStation PS2 Slim 8.5v Power Supply PSU - SCPH-70100. Condition is Used. Dispatched with Royal Mail 2nd Class. Sony Psone PS2 Official AV Adapter - Brand New ! Brand new Official AV Adaptor (with S VIDEO OUT connector), for the Sony PS2 Has never been used although packaging does show the odd wear and tear mark due to being in storage. Grab it before it goes. Free postage. Features:Support all loaders.Can support up to 1TB SATA HDD 2.5" and 3.5".Easily installs in 1 minute by anyone. 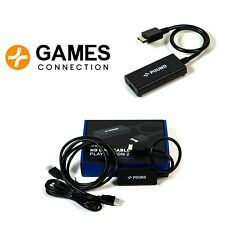 No experience needed.Play the games you own with quick loading times - using fast SATA interface HDD improves loading times by 10X times.This is a SATA network adapter for PS2 PlayStation 2 console.It will allow you to connect a SATA ( not ide ) HDD, 2.5" or 3.5" in varies capacity. Supplies power to your player Console. Output: DC 8.5V--5.6A. 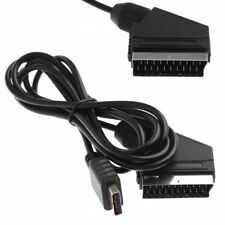 Description: This Xbox classic Component AV Cable has five connectors in end that you use with a standard-definition TV or monitor. The other end of the cable has an audio-visual (AV) connector that you connect to the Xbox console. You can play high-quality game and enjoy the experience of high definition movie at the same time. Features: The Xbox Component AV Cable connects the Xbox console to a standard-definition TV Experience High Definition movies and games Provides a superior signal transfer Cable Length: 1. We will always go out of our way to source the product you are looking for. Add to Favourites. High quality PlayStation Composite RCA AV Cable. 3 Colour coded RCA phono plugs. HDMI cable. RJ45 cable. Micro USB cable. iPhone cable. Type C cable. Cable length: approx. Replace your broken / bad connection cable. Cable length: Approx. 1.8m / 5.91ft. Quantity: 1PC (Only the cable, other accessories demo in the picture is not included). Material: PVC. Compatible with: For PAL consoles only. Included:1 x Extension Cable. Net Weight: Approx. Size: Approx. SUPPLIED WITH UK 3 PIN PLUG & AV LEAD. USED BUT IN GOOD CONDITION. SEE PHOTOS FOR MORE INFORMATION. AV line × 1. You can follow below process to chontact us. All pictures are for illustration purpose only and Colours may vary slightly. USD 2.18 664 sold. GBP 1.55 667 sold. GBP 2.4 766 sold. GBP 3.67 776 sold. Support: IDE port. Color: Black. Playstation 2/3 AV cables. Condition is New. Dispatched with Royal Mail 2nd Class. AV Cable Type: Audio / Video cable. Cable Length: 140cm/55in. Color: Black. Anyway we will try our best to avoid this kind of thing. Features:This component cable is specifically designed to provide the sharpest video and sound for Sony PlayStation2 ( PS2 ) gaming systems.Connect to your HDTV (High-Definition TV) or EDTV (Enhanced-Definition TV) and enjoy the most stunning graphics available from for Sony PS2 via 480p resolutionUltra thick and flexible PVC jacket with color coded connectors help to simplify installationAV Cable Type: Audio / Video CableSpecification:length:&nb.